Monday, February 22nd, marks the day the new Credit CARD Act of 2009 takes effect. Its purpose is to protect the credit card consumer and potentially save consumers billions of dollars. What do you think? Credit card issuers cannot raise the rate in the first year after an account is opened unless an introductory rate has come to an end. After that, cardholders must be notified 45 days in advance of any rate change. For existing balances, rates can’t be raised unless the account is at least 60 days past due. If payments are made on time for six consecutive months, the original rate must be restored. Cardholders will see how many months it will take to pay off a balance if only minimum payments are made. Statements will also indicate how much needs to be paid each month to pay off a balance within three years. Service fees, such as activation and annual fees, will be capped at 25 percent of the credit limit during the first year of use. After that, there is no cap. The law requires that due dates remain consistent. Statements must be sent out 21 days before the payment due date, and finance charges and fees cannot be applied before that period is up. In practice, about half of card issuers have extended grace periods to as long as 25 days. The cardholder must specifically agree to permit transactions that exceed the credit limit. Only then can over-the-limit fees be charged. But the fees can’t be triggered by other fees or interest charges. Only one over-the-limit fee may be imposed during a billing cycle. No over-the-limit fees may be charged unless the cardholder has specifically agreed to permit transactions exceeding their authorized credit limit. These fees can no longer be triggered by other fees or interest charges imposed by the card issuer, and only one such fee may be imposed during a billing cycle. In practice, several of the largest card companies have dropped these fees. Some banks are using pop-up boxes on their Web sites or other methods to obtain consumer authorization. 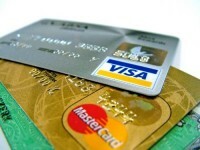 Card companies cannot raise interest rates on existing credit card balances. Interest rates can’t rise during the first year an account is open, unless the original agreement spelled out a promotional rate for a limited time. Consumers with older accounts must be informed of any interest rate increase on new charges at least 45 days in advance. They must also be given a chance to opt out of the hike by canceling the account and paying down the balance at the old interest rate. If an interest rate is increased, the card company must review the account once every six months to assess whether the rate should be dropped. Credit cards may no longer be issued to anyone under age 21, unless the applicant has a co-signer, or can show independent means to repay the debt. Colleges must disclose any marketing deals they make with credit card companies. Banks are not allowed to hand out gifts on or near campuses or at college-related events. Personally, I know that even though I have an excellent credit score, my rates were all hiked before this came into effect. Luckily 99% of these cards have a $0 balance. But there is one credit card, my husband owns, with a $7,000 balance. And that credit card did get hiked. So, we got screwed on that one. But we are paying down as fast as we can. Unfortunately, banks can still charge what they want in interest rates. So after that first year or being notified of a rate increase… watch out, you could be in for a shocker! Other than that, I do see some good factors in the Credit CARD Act of 2009. People NEED to see how long it will take them to pay off the credit card. Hopefully, this will put some sense people to pay off that credit card! Hopefully college students won’t keep getting sucked into buy now, pay later mentality; now that it will be harder to get a credit card (at least, my hope is that it will be harder). We are actually notified of rate increases before hand. It’s nice to have control on our finances before changes happens. Companies are capped on giving us finances charges. But wait, only for the first year of use. What about us consumers with credit cards we had for years? Are we safe? I personally don’t use credit cards anymore, because I have a difficult time controlling my spending on them. If you are going use a credit card then do so responsibly. You should be paying the balance off in full each and every month. If you can’t commit to that term, don’t use it! This entry was posted in Finances and tagged credit card act 2009 on 2010-02-22 by Christine. The Credit CARD Act offers consumers many benefits, especially young consumers. Many of the consumers that I speak with during financial literacy sessions often mention that a great deal of their debt was accumulated during their years in college where they signed up for a credit card in exchange for a free T-shirt, pizza or some other token prize. Since many students are not privy to financial literacy classes in middle or high school, they are not equipped to handle their personal finances once they transition to adulthood. My hope is that consumers will take the time to learn about their rights simply by reading their credit card disclosures. They should be more reader-friendly and well worth reading. Too, if there is a question, I encourage a follow-up call with a customer service representative to confirm complete understanding of what the text means. I very much like your final statement. Many of those disclosures are written in Latin. I think parents are not sure how to teach their kids about finance. I know I remain a bit clueless, but I hope that this blog and my financial actions will help him. And I am happy to hear credit card companies cannot offer free tokens with the credit card offer w/in 1000 ft of the campus. I hope the Credit CARD Act really does help consumers. I’m all for limiting credit to those under 21, because as Lillie says, they’re the ones targeted with freebies. As for interest rates being hiked, that’s just the credit card companies’ attempt to keep their revenue stream where it is. Sneaky, because they did it before the new rules went into effect. I do like that the new statements show how long it takes to repay the debt — mine shows how long and how much interest you’ll pay if you just make the minimum payment, and what your monthly payment would be to take 3 years to pay it off. Those stats will likely be eye-openers for a lot of people carrying large debts. Great Summary of the new rules! It will be interesting to see if Canada follows suit. Thanks. I never thought of that, but if they do… pay off any previous balances before they hike those existing rates! I definitely think that these are some steps in the right direction but as I read your post all I could wonder is if people are getting let off the hook for their own bad behaviors/habits? You mention you having good credit. I’m guessing that you, even with debt, don’t let credit card companies take advantage of you. Either way I’m a big proponent of the changes. I wondered that about people getting let off the hook, but with the CC companies increasing rates and lowering balances… maybe not so much. And if they are being let off the hook, any new purchase could definitely hurt them as there are no caps on fees and/or after 45 days notice that rate could be any %. Thank you for thought provoking comment.